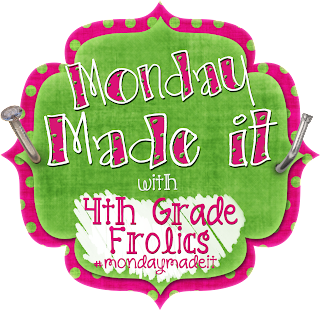 Linking up with my fellow 4th grade Florida blogger friend, Tara, for her Monday Made It-I've made a couple of things for my classroom this week that I'd like to share! My next item was to replace my Exit Sign in my classroom because it didn't really match and I liked the idea of taking a quick glance to see which students hadn't responded yet. So, I made myself a "What Stuck With You Today?" poster to match my décor. (Several colors are available in my TPT Store). Each student in my class is assigned a number so I will know within seconds who still needs to respond. I was inspired by my friend Gina at Beach Sand and Lesson Plans to make an exit sign with post-its and numbers. As you can see, #8 left without completing their exit slip! I'll catch them tomorrow! Today my students had to write about one of the multiplication properties they learned. This is one of the few students who was daring enough to write about the distributive property. This student wanted to extend his thinking on the zero property with a large number. Look at the exit slip below...how sweet...they included their feelings about which property they thought was the easiest. If you missed yesterday's post, it's all about the activities I used to teach multiplication properties. 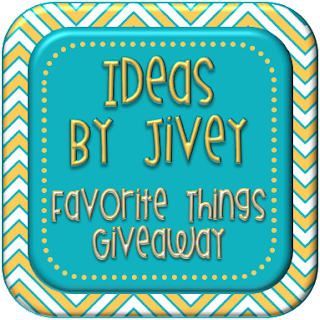 My BBB Jivey from Ideas by Jivey is having a crazy mega giveaway that you must enter! There are five giveaways and you can enter all of them! I'm so excited for her 1,000 follower milestone and proud to be part of this incredible giveaway! I love the numbered sticky-note exit slip posters... I just need to find a way to make it work for middle school without taking up too much space for all the classes. Maybe you could make each space a little bigger and/or use smaller notes and then assign each class a color. There would be six colors on each number square. You could ask them to get their sticky color and bring it in with your beginning of the year supplies. A binder...I have 6 post-its per page, call them up to the binder on the back table 6 at a time, then turn the page when done and call the next 6. Good for bringing home to look at too!! That is the best idea ever. Thank you for sharing this with us. I was wondering how to use this with multiple classrooms. I love your exit sign! How did you make it? I'd love to make one for my room. Thanks! I love your exit sign. I really need to get on the ball and make one for my classroom as well. The exit sign is awesome! I always worry I'll run out of time, but the things that your kids wrote make it look (very) worth it to wrap up early! Thanks for sharing! That stamp is awesome!! I'm still trying to find one of those Like stamps from Facebook! P.S. Your stamp is soooooooo cute! I love that font! Your stamp is too fitting! And I love the more structured exit slip poster as well! Thanks for sharing! The exit slip poster looks great! But I have to go get a few stamps made at Office Depot! Now I will spend all day thinking about the possibilities:). Thanks for the tip! I love all of these exit boards! Such a great idea, and so easy to see who's participated already. Your stamp is so cute! I may have to get a stamp myself! OMG! I love the exit slip board. I started using exit slips last year and love using post-its for them. Now I just need to find a place on my wall to create my own "What Stuck With You?" board. Love your Exit sign for sure. I guess I do "exit signs", but electronically with Edmodo. I have the students write a reply each night about their assignment. It's normally a continuation of something we have learned that day or a sometimes something leading into the next day's lesson. Love the pink and black....my fave! I love your exit sign too! 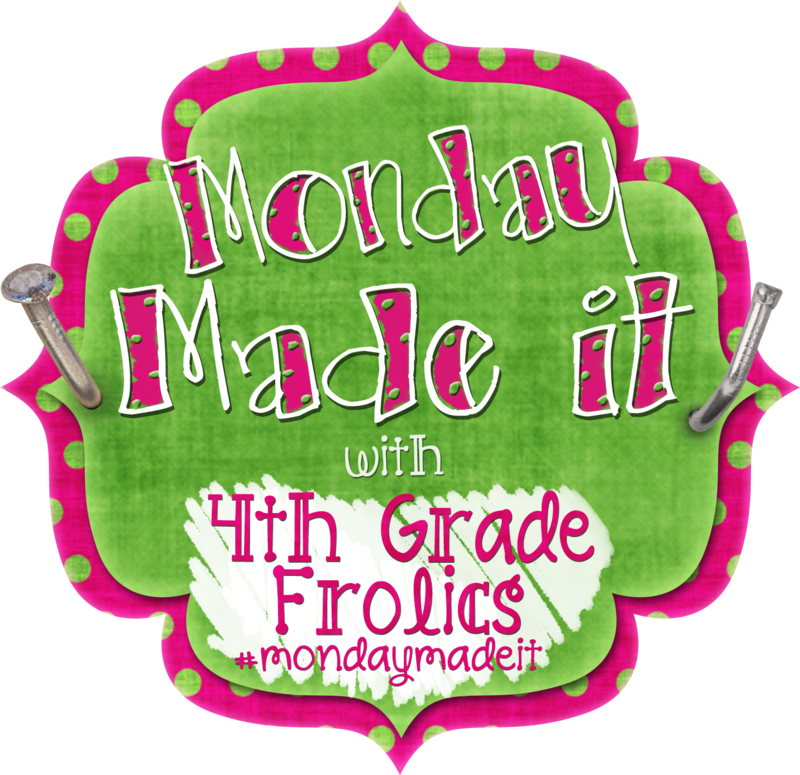 That is part of what I made for Monday Made it too! I used library cards on my board so that I don't have to waste so many post it notes! The stamps are awesome! I have one that has my converse chuck sneakers on it! I think I can do this with my students as well, just tweaked since I have six different classes. Thanks for sharing. Oh my....I love both of these! Consider them stolen! LOL! I saw this on pinterest over the summer, and it was on my to do list, that never got done. But I like the tweak of the numbered spots. Oh and I'm heading to office depot this weekend. Love, love, love "What Stuck With You Today?"!!! I used this last year too but I had a really hard time keeping track of it. Also what happens when the student won't or doesn't do their exit slip? Can you please share how you made the "what stuck with you today poster"?